Between the 10th and 13th century here existed a county. In 1229 it received city charter, the city was later even mint. 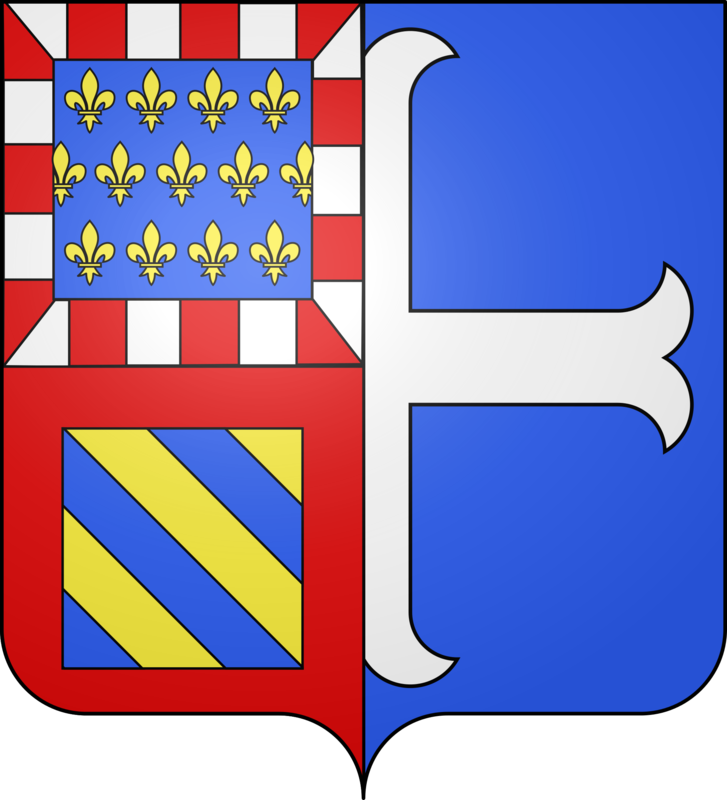 A castle protected the then militarily significant transition over the Saône. 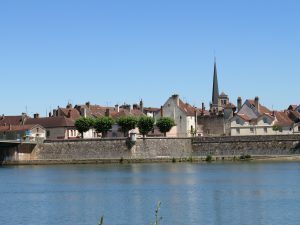 At the end of the 15th century, after the annexation of Burgundy to France a still existing defiant castle was built at the riverfront by King Louis XI. In the 17th century this castle as well as the city walls was developed into a bastion with moats. 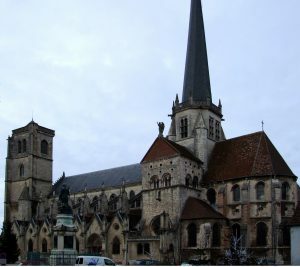 The town is located approximately 35 kilometers southeast of Dijon, on the left bank of the Saône. Auxonne is sometimes called the “Jewel of the Saône Valley”. With its fortifications from the era of Louis XIV partly built on the concept of Vauban appears to be friendly and provincial. Napoleon served here 1787-89 as a young lieutenant, and in 1791 he stayed for some time in the city. Consequently, in the fortress tower you will find the Musée Bonaparte. Worth seeing is also the church of Notre-Dame from the 13th century with a Gothic porch, which is rare in Burgundy.